Mary McBeth is a memoirist, essayist, editor, and workshop facilitator. Born in the American South and raised in Brooklyn, New York by her immigrant Trinidadian family, Mary’s career as a fashion model has taken her to more than 220 cities, in 23 countries. 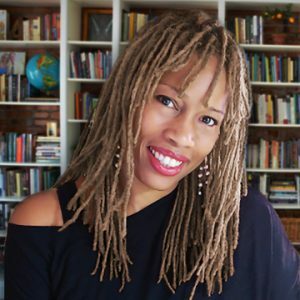 Much of her writing focuses on difficult themes of racial, sexual, multi-cultural and national identity, sexual assault survival, the global spectrum of abuse, family trauma, and social justice. Her memoirs and essays have appeared or are forthcoming in Cobalt Review, *82 Review, Argot Magazine, Awakened Voices and others. She is currently hard at work on her first book length memoir about her 12 years in Italy as a fashion model, entitled, Perfect. The story is about Inter-generational trauma and mental illness and how the cycle of harm skews reality for people on all sides of it. Set in the late 80s and early 90s it follows her life as a teenage runaway and survivor of sexual abuse who reinvents herself from homeless New York Club Kid to dining with royalty overseas. Mary is the founder and editor-in-chief of Memoir Magazine. She also teaches memoir workshops with Memoir Magazine University, and serves as a manuscript editor for their Memoir Critique Service. Mary is also a Level 3 Reiki master, certified raw vegan chef, Metaphysician, and polyglot, fluent in Italian, German, Spanish and English. Follow @marymcbeth1 on Twitter or on Facebook. Contact Mary with writing-related projects or questions at maryamcbeth(at)gmail(dot)com. 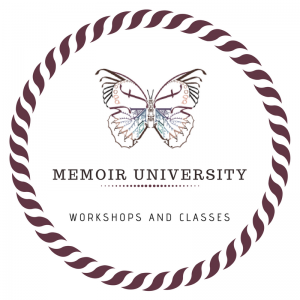 Mary will be teaching a 4-week online Memoir Magazine workshop on writing through trauma, beginning 8/06. For more info and to register, click here.